The Standing Stone: Leighlinbridge, Bridge, Co. Carlow. Location – OS: S 691 655. 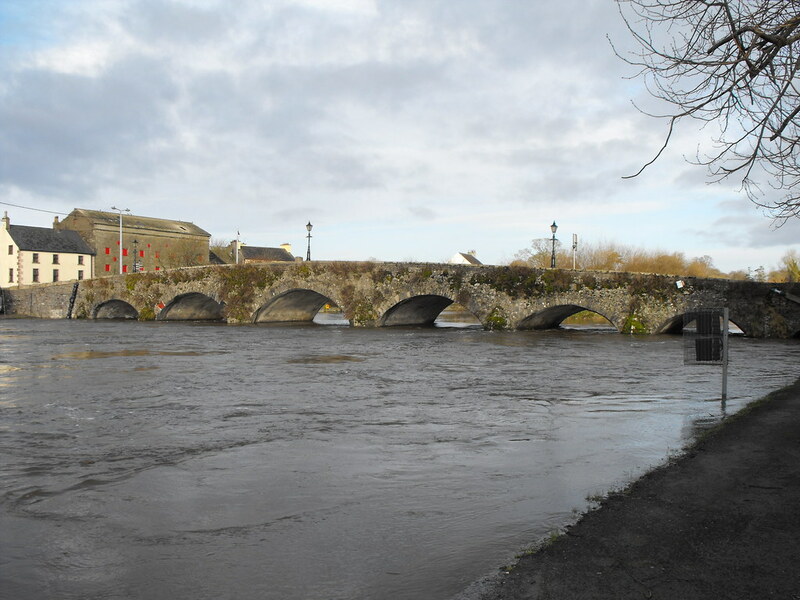 Located in the centre of Leighlinbridge next to the tower house. It the town’s only crossing point. Description and History – The existence of the castle in this town is purely because of the bridge which was a major strategic point for the Normans in Ireland as it was one of the main crossing points of the River Barrow. The medieval bridge that was contemporary with the ‘Black Castle’ that was built in 1320 and was built by Maurice Jakis. The bridge had 9 arches spanning the river. The current bridge follows the path of the medieval bridge and has 6 visible arches and may incorporate parts of the original bridge. I have included this bridge, although largely modern in date, because of its importance to the tower house. 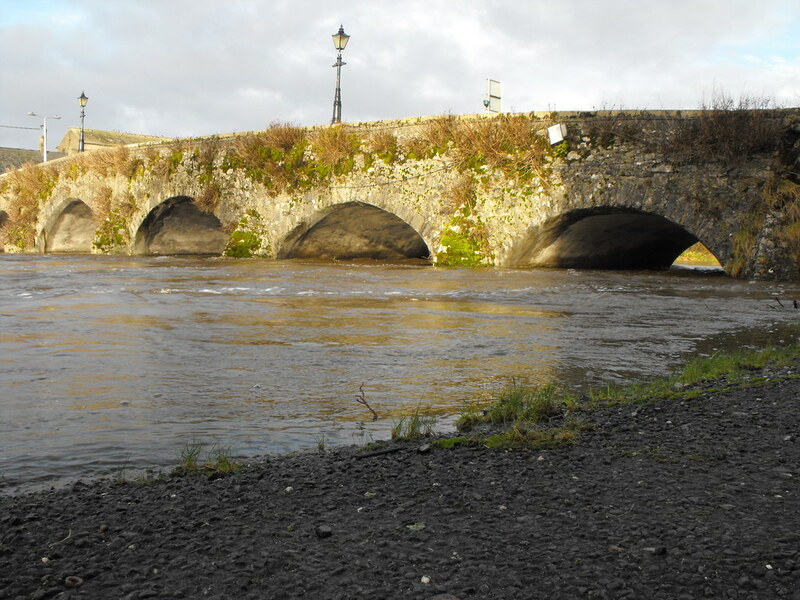 Difficulty – Easy to find as it is Leighlinbridge’s only functioning bridge. For more bridges, click here.